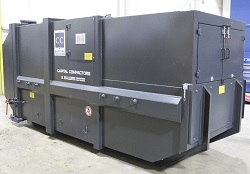 Our skip and Rolonoff portable compactors are suitable for general and food waste, where environmental and hygiene requirements demand a sealed unit or where space is at a premium. 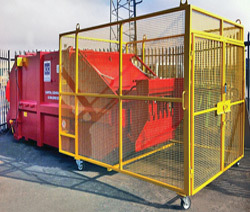 With leak resistant seals, fast cycle time, high volume charge box, our portable waste compactors are the perfect choice to minimise your waste costs. 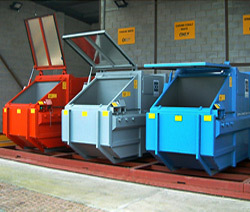 Available in a range of colours, with clear operating instructions and health and safety stickers as standard. Easy to operate, safe to use and backed by a network of our own engineers to ensure maximum reliability.